The brand new Paso Robles Winery Wedding Venue, Rava Wines, hosted Wedding Standard members for an end of the summer White Party. Everyone dressed in white as is the custom before labor day and to mark the start of the fall season. Ciel Bleu Events designed their ball room with the help ofBella Vista Designs, Fluid Bloom, Scout Rental Co, andAll About Events. The challenge was to make a 1000 person capacity room feel cozy for a party of under 100 guests. Members mingled, sampled appetizers from Field to Table along with Rava Sparkling Wines. Rava wines is nestled on an 80 acre boutique vineyard in Paso Robles wine country. Once home to a working horse ranch the venue offers a unique blend of all the central coast has to offer. Lauren and her husband Chad dreamed up the venue after struggling to find a venue large enough to host their 500+ guest list for their wedding. Several years of dreaming and tons of hard work and Rava Wines was born. 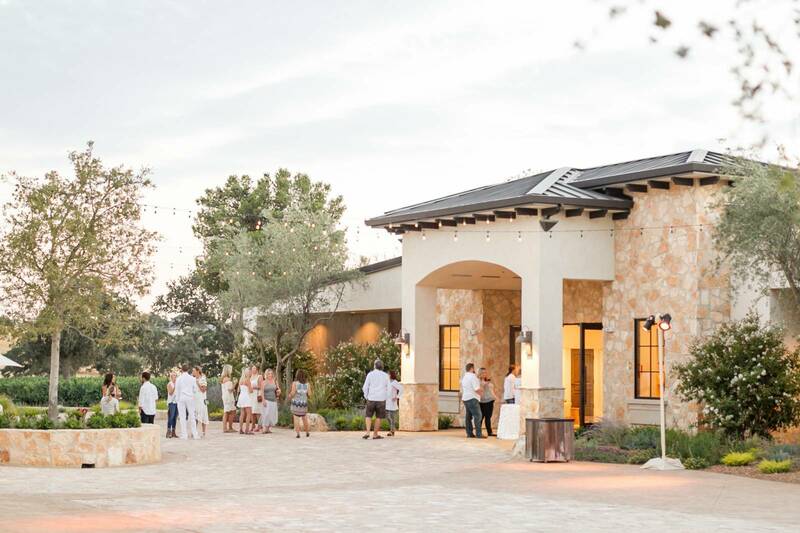 With sprawling vineyards, a quaint pond, a three bedroom bridal suite overlooking a courtyard and a modern California wine inspired reception space the possibilities are endless. 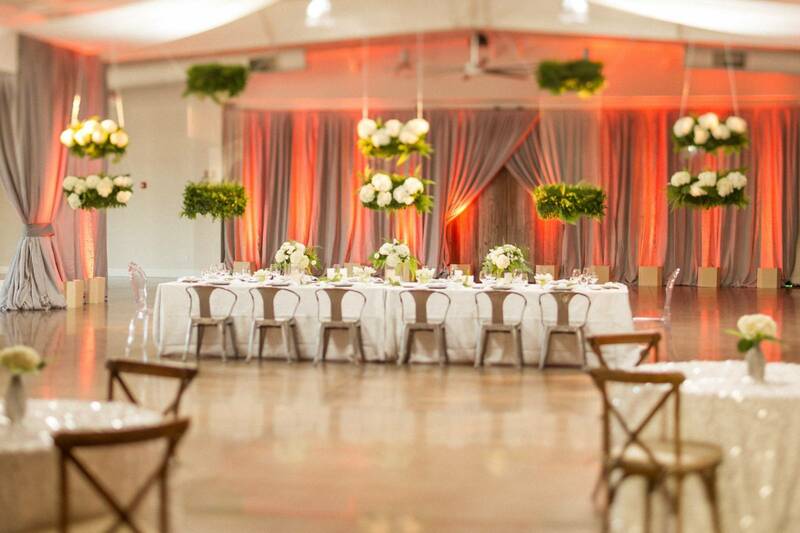 Every event The Wedding Standard hosts we come up with a one word theme. Here's an excerpt from founder Cameron Ingalls thank you speech. "It's clear within minutes of talking to Lauren and/or touring this stunning property that what's she has is VISION. Vision is the glue that holds ideas together until they manifest into reality. Without vision good ideas never happen. There's an ancient Hebrew saying that without vision people perish. They literally will fade away. Without vision good ideas never happen. Without vision you would't be here because this venue wouldn't exist. You also wouldn't be getting up everyday doing what you love. Making the sacrifices. Taking the risks. I'm thankful to be a part of some of the greatest visionaries in our local wedding industry! It takes VISION to put on fabulous weddings every week. And we do that together. We are a tribe of visionaries working together to accomplish GREAT IDEAS for our couples. We need each other. We need people like Lauren and her husband to invest in a field. Plant rows of vineyards. Pour a pond. Design and build a honeymoon suite (that I want to live in) and turn a weedy field into a space where couples and their families can experience the best day of their lives and in turn we get to do our passion and express our vision using our unique gifts and talents. So let's raise a glass to the Rava family. For putting it all out there and turning vision into reality. We are thankful you are here. Congratulations on a vision coming to pass and for sharing it with us now and in the future!" VISION. Vision is the glue that holds ideas together until they manifest into reality. Whether you are looking for an intimate ceremony by the lake, celebrations in our olive grove and old world courtyard or size-able gatherings in our indoor ballroom Rava Wines can encompass all your needs.